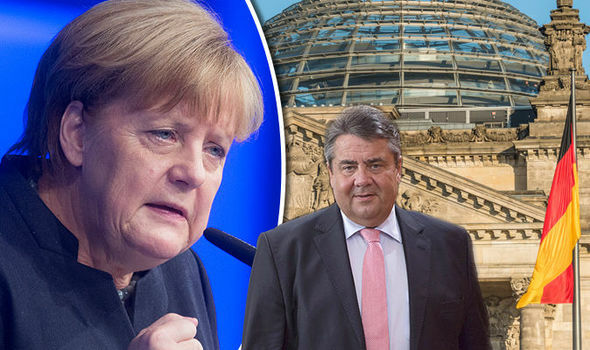 'Merkel to be replaced WITHIN A WEEK': Shock alliance could see German leader booted out. GERMAN Chancellor Angela Merkel could leave office within a week as her political opponents round on her. BUT, are you not aware that Sigmar Gabriel is another staunch Bilderberg member who attends regular Bilderberg Group meetings and part of the very ´Global elite´ we are fighting? This is a typical trick of Illuminati changing puppets as a show for the gallery,making people believe there has been a change for the better. On the contrary,Sigmar Gabriel is a far more dangerous and cunning Bilderberg member who will continue the havoc in Europe,causing chaos and conflicts,perhaps arming Europe as a superstate.